Welcome back! I am Rashad form w3p and a student of zend php program. Actually in my last tutorial I did not done anything in theme development nothing but installed wordpress cms for w3p in my laptop machine. And that was really a very very first step to wordpress theme development. 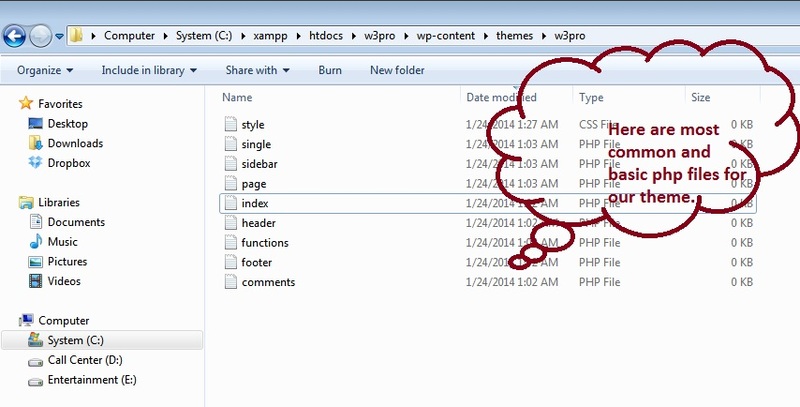 Now I am going to arrange basic file system in my wordpress theme development. In the basic file system, we will use the most common files for wordpress responsive theme, each of which play their respective part in the displaying or functionality of a theme. style.css is integrating with wordpress cms and if you have only style.css file in your theme directory then wordpress is counting a theme. Visit this forum topic to code wordpress basic child style sheet code. Header part of wordpress is the common part of a website. In header.php you can contains the website header part until </head> and the function wp_head() is most important hook of wordpress header. An optional file called by the use of get_sidebar(), you can use this file for a sidebar, navigation or anything similar. The code to allow widgets to run in your WordPress, if your theme founction allows them. This part is also a common part of your website and wordpress cms. This is where the theme wraps up and also where you can register a second area for widgets to display. Of course you can display widgets anywhere you want, but header, sidebar and footer are the most common. page.php is used to display a single page – not to be confused with a wordpress post. single.php is post file of wordpress, used to display a single blog post/custom post type, but very similar to page.php in code. Great, now come to index.php, which does the chunk of the work for a blog; displaying posts, search results, serving up error messages and so on. In function.php, you can write your own functions and hooks to your theme. They are most commonly used to create section, register menu, widget, post type, image size anything you can function it in wordpress cms. Displays a loop similar to index.php which integrate through comments. This is also where trackbacks, nested comments and other related functionality is performed. You can use as many as files you need in your theme. 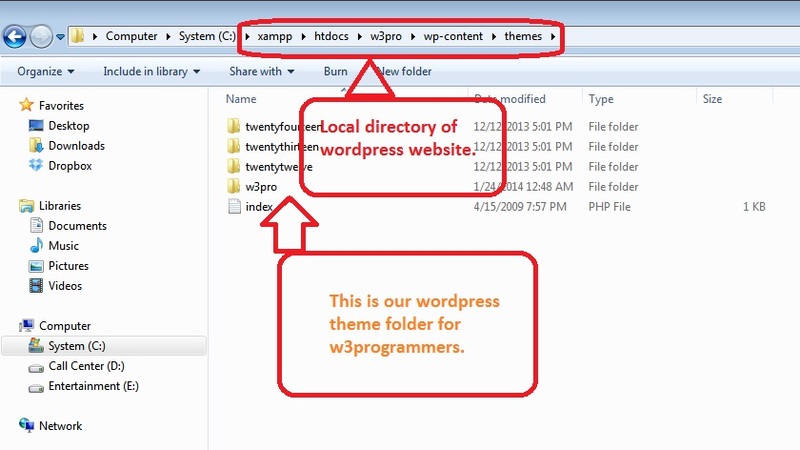 But the above files are most common to use a WordPress theme. And the theme files structures is the decision of the theme developer. Also you can use to display video.php, audio.php, author.php, fullwidth.php etc… you like to. In the blow image are showing the most common and basic files for our new WordPress theme. Put the below comment in style.css file and go to wordpress admin Appearance>>themes to active the theme. Hello, This is Rashad. I like programming.